I'm Certified!! 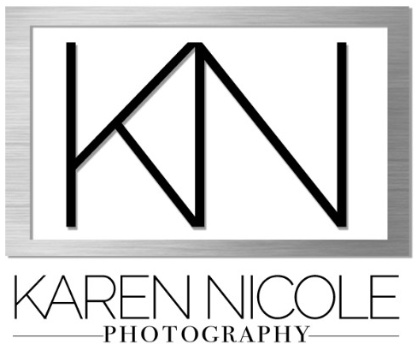 The journey to becoming one of the few Alabama Certified Portrait Photographers! Wondering why I made that logo up there so BIG?! Because it's a BIG DEAL! I've been a member of the Professional Photographers of America since 2011 because they offer so many awesome resources and education for photographers. They push each member to be the best, most creative, more educated, more protected and most successful photographer possible. Just a few of the things they offer are equipment insurance, legal advocacy, challenges, tools, a monthly magazine, a huge yearly conference where over 10,000 photographers & videographers gather to 'talk shop' and speak the same language, and the most prestigious credentials and awards in the industry! To put it simply, PPA helps professional photographers to stay knowledgable and up to date with the constant changes in the craft and the industry.. but to become a CERTIFIED photographer requires extra work to achieve and maintain a higher standard. PPA currently recognizes fewer than 2,500 CPPs nationwide, so you gotta know your stuff or you simply don't earn the title and letters behind your name! In order to become a Certified Professional Photographer, I had to complete an intensive program that measured artistic and technical competence. CPPs must pass a written examination, finish an image evaluation by accomplished judges, and adhere to a strict code of conduct. Trust me.. I was nervous about the entire process! Becoming certified had actually been on my 'bucket list' for several years. I kept telling myself I'd do it 'one day' or 'when I had time'... and a couple of years ago, I even went so far as to declare my candidacy, but backed out because I was intimidated.. well, technically, I was scared to death of being tested and judged. But let me tell you, its just like any other goal we tend to put off... my only regret is that I didn't do it sooner! So why was it on my bucket list? Well, first... because these days, it's too easy to buy a camera, get a website or facebook page, call yourself a "photographer", and start taking money before you even have a clue of how to get the darn camera out of 'auto mode'! Think about it.. can a doctor run out and buy a scalpel and start performing surgeries? Heck no and thank goodness!! What about other industries? There are several professions that have a set of standards and accomplishments that anyone desiring to be a professional must perform. Personally, I prefer to do business with professionals that know what they're doing and have a proven track record. It matters... plain and simple! Consistency- To achieve great results.. every time. Technical Skills- Because we understand the equipment and technical side of our art.. we are more than 'picture takers'. Unique Artistry- We have the skills to create unique, customized works of art—not cookie-cutter pictures. Professionalism- You know you’re getting someone who is willing to go the extra mile to deliver the best possible images and products for your family. So what does this mean for you as my clients? That I'll continually work hard to provide the best that I can offer in my craft- in knowledge, creativity, products and equipment to give you a great experience from the moment you book me to the second your beautiful portraits are displayed in your home. What's next? I'm thankful and proud to have accomplished a big goal I set for myself this year... and I won't stop here! I have so many new and exciting things up my sleeve for the coming months and year... and I can't wait to share each of them with you! Having earned my CPP doesn't mean that I'll stop learning and growing as a portrait artist... to stop now would be going backwards!